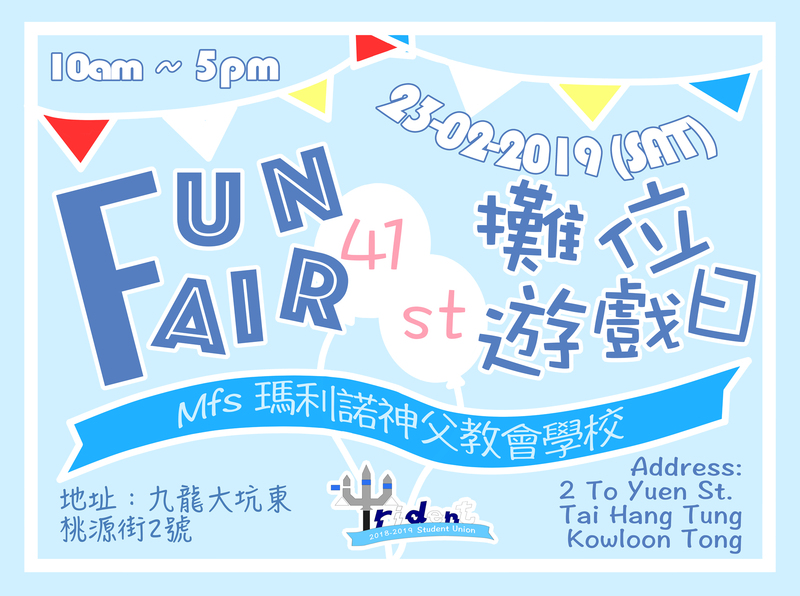 The 41st fun fair will be held in Maryknoll Fathers’ School on 23rd February 2019 (Saturday). The Fun Fair is organized by the Student Union. There will be game booths, performances, lucky draw and other activities. Please come and enjoy!